What is the best time to visit Ljubljana, Slovenia? As a result of global warming weather has in the past decade become a lot less predictable in comparison to the past. However, geographical position of Ljubljana between the Alps and the Mediterannean retains some of weather patterns unaffected and perpetual. In short: moderately cold winters and warm summers. 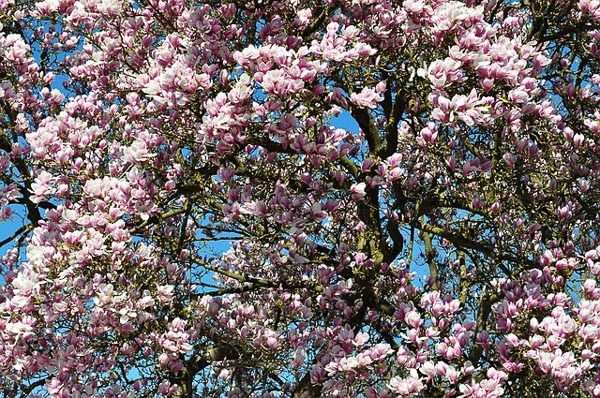 What is Slovenia and Ljubljana weather in March, April or May like? Springs are utterly unpredictable weather-wise. For example: it is evening of 14th of April 2017 as we are writing this. Today it was sunny and warm to up to 22°C, while in three days cold is forcasted. Even though showers are pretty common for April, this April has been dry. March was warm and sunny too, while if memory serves us well, there was a day of snowing in the first days of May in 2016. Anyhow, if you`re coming here in this time of the year, do bring umbrella, waterproof shoes and don`t forget your jacket. And temperatures? Mostly ranging from 10 to 20°C. In spring the city is thriving with citizens strolling around after the long winter. Terrasses of cafes are packed, trees and flowers are in fool bloom. It is lively, colourful and dynamic but there are still not as many tourists around as in the summer. 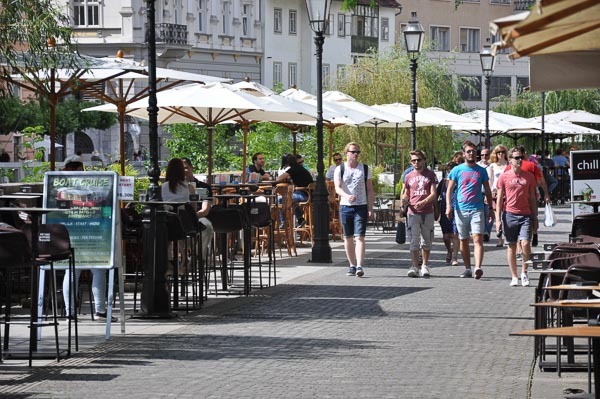 In summer, June, July and August, the weather in Ljubljana is under the influence of Mediterranean air currents, so summers are sunny and warm. July and August are the hottest months of the year with temperatures ranging from 25°C to 35°C. There are in everage 11 days per year with temperatures above 30°C. From May to September there are heat-storms relatively common and can be quite heavy. If visiting Slovenia and Ljubljana in the summer time bring any sort of open shoes like sandals or flip-flops, shorts and T-shirts are self-evident. For whimsical days a sweater or a raincoat are helpful. In the summer time Ljubljana is the most vibrant. Cafes by the river are jam-packed, streets are taken by street artists, concerts and other open-air cultural events. More tourists, less locals. So what is Ljubljana weather like in September, October or November? Autumn is most possibly the wettest part of the year with showers being most common in October and November. 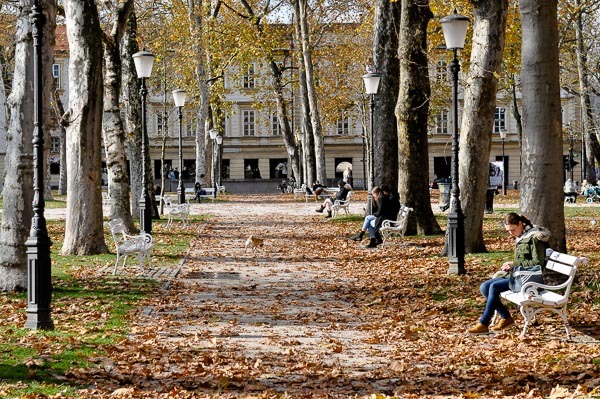 Even though Ljubljana ranks among the wettest European capitals with yearly parcipitation of 1400 mm, weather has gotten very inconsistent in the past decade and you may also come across super dry and sunny autumn days. Do not let whimsicle weather discourage you from visiting. Days can still be warm and nature becomes incredibly pretty with trees turning their leaves red, orange and yellow. Crowds of tourists are mostly gone and the city gets packed with students. The average temperature in September is 17°C, on October 12°C and on November 7°C. Required equipment: sweater, raincoat or umbrella, jacket, waterproof shoes. January is in average the coldest month of the year with temperatures around zero. Snow is less common than in the past but when it does snow, it is mostly from December to February. Late autumn and winter can witness fog covering the city, which can be quite constant in times of temperature inversions. 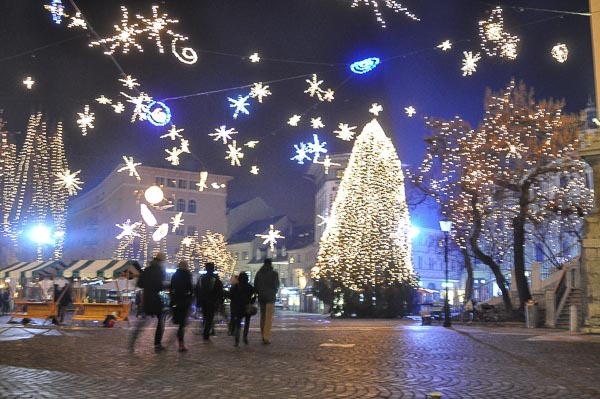 December is the most vivid winter month in Ljubljana with the Christmas Market taking place from late November to early January filling the air with the scent of cinnamon and mulled wine. If you are a ski fan, the closest ski resort to Ljubljana is Krvavec about 40 km away. What to bring if visiting Ljubljana in winter? A jacket or a coat, a hat, gloves, a scarf, warm shoes and warm socks. This page provides information on Ljubljana weather forecasted for 6 days in advance. If you would like to get information on Ljubljana weather for the next 15 days or hourly, please visit AccuWeather, weather.com site or other weather forecast service. Please note that 15-day forecasts are often quite inaccurate.